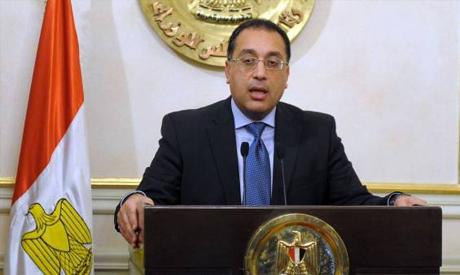 Egypt's total foreign debt stood at $92.64 billion at the end of June, up by 17.2 percent year-on-year, Egypt's Prime Minister Mostafa Madbouly said on Sunday to Al-Watan. Egypt's external debt stood at $79.02 billion at the end of June 2017, and rose to $88.2 billion at the end of March 2018. In April, Egypt issued 2 billion eurobonds in two tranches for eight and twelve years with a yield of 4.75 percent and 5.625 percent respectively, amid strong coverage. "The increase in Egypt's external debt balance is normal and will decrease over time," said Radwa Suweifi, head of research at investment bank Pharos. "The increase must be slower than the rate of increase in GDP". The external debt to GDP ratio reached 37.2 percent at the end of fiscal year 2017-2018, a slight increase from 36.8 percent at the end of the third quarter, Madbouli said in an interview with Egyptian daily Al Watan. The Egyptian fiscal year begins on July 1 and ends on June 30 of the following year. "The debt-to-GDP ratio is fairly high," said Reham El-Dessouki, an Egyptian economic analyst. "We must work to reduce that ratio as soon as possible so as not to be a burden on Egypt's cash reserves and external resources". Egypt's foreign reserves stood at $44.419 billion at the end of August, according to the Central Bank of Egypt. The Prime Minister attributed the increase of the external debt to "the country's expansion in foreign borrowing over the past period to bridge the funding gap and solve the foreign exchange shortage crisis in the market," Al Watan said. Egypt's external debt is divided into $28.42 billion in loans from international and regional financial institutions, $17.4 billion from Saudi Arabia, United Arab Emirates and Kuwait and $14.28 billion in bonds. In addition to $10.37 billion in bilateral loans, $9.89 billion in medium and long-term loans and facilities and $12.28 billion in short-term debt.